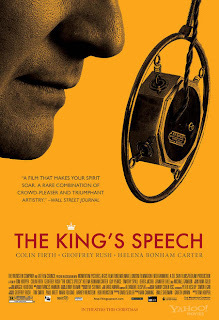 The new movie "The King's Speech" is turning heads and winning awards (4 academy awards to be exact). It has also brought special attention to a service many did not know even existed: speech coaching. 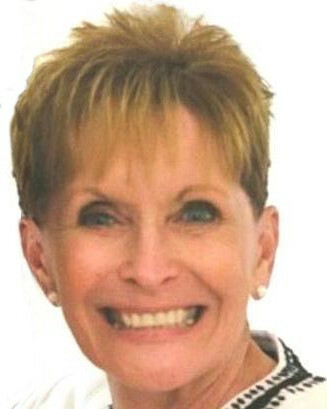 Kate DeVore is a friend of Amplivox Sound Systems and a professional speech coach much like the coach in the movie. She helps people improve their speaking and overcome habits like accents and problems like speech impediments. According to Kate, business at Total Voice Inc. was up 25% recently, presumably due to "The King's Speech." Click here to read an article on Crain's Chicago Business on Kate and Speech Coaching (you will need an account). 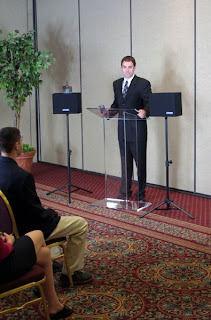 Another way to improve a presentation is to have the right presentation technology and speech equipment. Wireless Audio Portable Buddy PA System: This small portable system packs a 50-watt punch and can reach audiences of up to 1,000. Wireless Microphone Options: Amplivox products include several wireless mic options including headset, handheld, lapel, sports and aerobics headset mic, collar mics, and gooseneck mountable mics. Lots of options! In case you didn't know, Toastmasters International is an organization that provides opportunities to practice and develop your public speaking skills. For more information, look at the links at the end of the blog. Stay tuned for more content (blog posts and videos) on presentation tips! 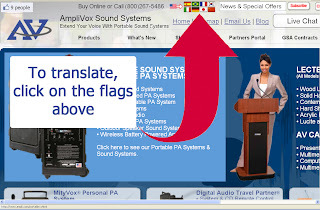 BLOG: Posts Labeled "Presentation Tips"
Globalization is in full force and businesses are expanding their efforts, and Amplivox is no different. Our goal is to make our customers' experiences as pleasant and easy as possible. One way we have done this is to offer an easy way to translate our entire site. 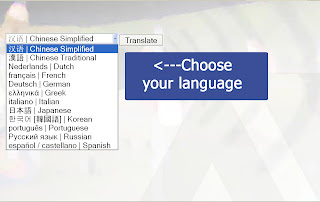 If you click on the flags at the top of our webpage (the above screen shot) you will be transported to our next screen shot where you are able to choose the language you would prefer to browse our site in. In the day where threats of natural disasters, bioterrorism, and random acts of violence, it is important that your business, school, or organization has an adequate emergency plan and strategy in order to respond to threats in an optimal way. Emergency response teams and plans ensure that the disaster response has a proper evacuation plan and follows the proper emergency procedures. With many lives in jeopardy, it is important to reduce the risk of panic and confusion with clear communication. Planning and collecting of supplies like first aid kids, emergency evacuation plans, and portable sound systems. This following video describes how the use of portable pa sound systems such as a megaphone can prove invaluable in a crisis situation. To view this video on our Youtube page, please click on this link. Amplivox Sound Systems had our own kind of natural disaster in February of 2011 with the "Great Blizzard of 2011" or as some called it, "Snowmageddon" or "Snowpacolypse". We have a short video on the effects of the storm that you can view by clicking on the following link. their students. Use the megaphones to direct schoolyard fire drills, tornado drills or in emergencies when directions must be heard. 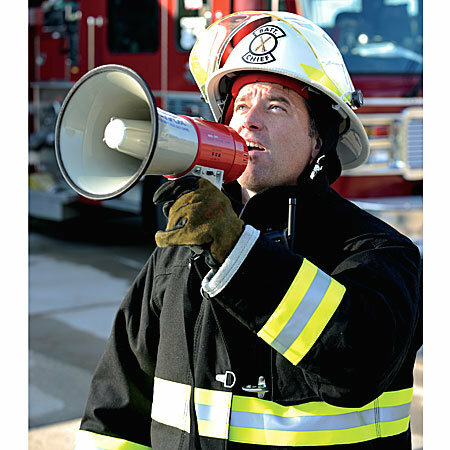 Click here for more information on megaphones in emergency response. 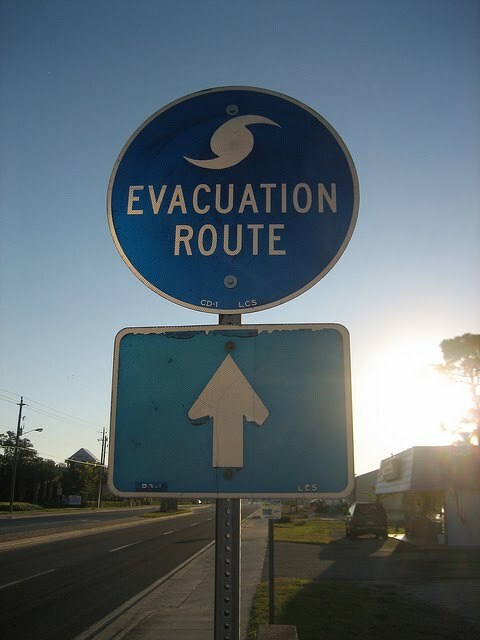 If you have any other tips or suggestions on survival during a disaster, preparing for an emergency situation, making a plan, experience from past emergency responses and evacuations, leave us a comment! 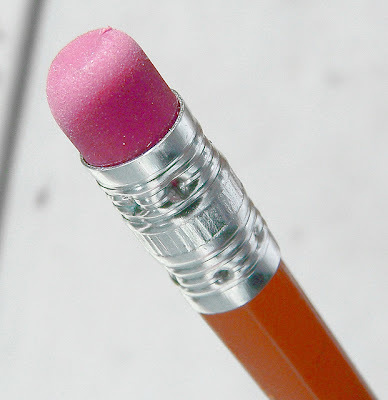 We all have experienced technology that is way to complicated and hard for even rocket scientists to use. What use is buying something if you cannot use it easily? Amplivox Sound Systems recognizes this because we do not like buying technology that takes an advanced degree in computers to use. So one of our goals here at Amplivox is to make our portable sound systems as simple and easy to use as possible. One major feature that simplifies use of our products is the wireless option. Connecting wires and finding outlets complicates things especially when you may be in an environment that does not have easily accessible outlets. All of our products are available in wireless and two great examples are the Titan Wireless PA Sound System and EZ Speak Folding Tabletop Lectern. You may have noticed in some of our Youtube videos how it is painfully easy to use our equipment (I'm thinking of the How to Set up the Sound Cruiser and How to Plug an iPod/iPhone into an Amplivox Sound System videos). Some other steps we have made to make your experience as our customer the easiest it can be is to provide product manuals and a pocket training guide on setting up a portable sound system. 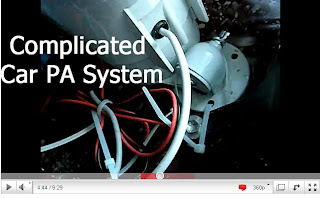 and also several videos about Frequently Asked Questions. Below are a couple of videos that demonstrate the ease of use that Amplivox products offer. -Amplivox Blog Posts Labeled "Customer Support"
"When people go to a resort hotel for a change and a rest, the bellboys get the change and the hotel gets the rest." 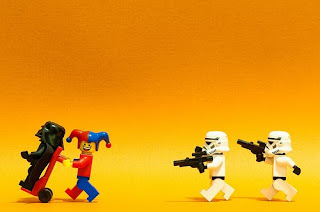 Clowns Love the Belt Blaster Personal Amplifier PA System! One of the great things about the internet is that before purchases you can do research to see how other customers have liked a certain product. It is no different with Amplivox products. Whether it be on the individual product page itself, Amplivox's testimonials page, Amazon, Google Products, or another source, you can find relevant and helpful reviews to aid you in your purchasing decision. We used the amplifiers (three of them) on stage at school shows. The kids could hear us and we could save our voices and not have to shout. The volume control was great and they didn't interfere with each other as we used 3 at once. " -- Found here. Education is foundational in our American society. It is a big issue in politics (see politics who have dealt with Amplivox) and millions of dollars get poured into young minds to shape them in a way to impact their futures and the future of the world. Whether you work in a middle school, high school, university, or preschool, Amplivox Sound Systems has products like portable sound systems and a variety of sound lecterns that can help meet your needs and fit your budget. For more information please visit Ampli.com or call us at (800)267-5486. We just started selling professional quality AV Carts that are a wonderful and functional solution to organizing your projector, computer, TV or other multimedia equipment in a stylish way. Click here to read our blog post on the new exciting products! 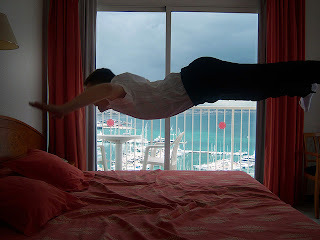 -Quality Sleep: Sleep is one of the fundamental needs that we have, and one that is often underestimated. Sleep plays a vital role in promoting physical health, longevity, and emotional well-being. Without the recommended 7-9 hours of sleep for adults you may find yourself depending on unhealthy products (caffeine, energy drinks, etc..) to get you through your day. - Avoid Temptation: Clean out your kitchen and throw away any food that is not in your diet. Follow the simple rule: if you shouldn't eat it, don't buy it. If you bring it home you will end up eating it at a weak moment. -Set Boundaries: If you are too busy and too stressed, you could cut down on stress by learning to say no. Although pushy people don't always make it easy, your time is important and relaxation is essential to cutting back on stress in your life. -Goal Setting: Goals matter. Setting the right goals, having a plan to reach those goals, and following through on what is required to reach or maintain those goals, can make the difference between having a happy, fulfilled and less-stressed lifestyle and not having one. 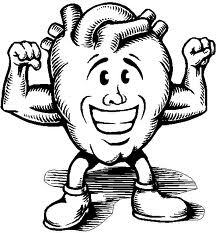 -Exercise: Exercise makes you feel good and can motivate you to get other things done as well. Try to pick up a new activity such as hiking, group exercise and outdoor activities. Even taking 20 minutes out of your day to walk around the block will clear your mind and leave you feeling refreshed. -Positive Thinking: Try to create a healthy atmosphere in all aspects of your life. Have you ever heard the phrase "laughter is the best medicine"? Happiness and health have been linked for quite a while now. New research has been backing up that people have instinctively assumed that happiness and health really are connected, and that your level of happiness can impact the level of your health. -Eating Habits: One of the most important steps to leading a healthier lifestyle is eating habits. You should be eating a balanced diet, avoiding high sugar and processed foods. Eat more fruits and vegetables, along with eating better is getting the right nutrients in your system. 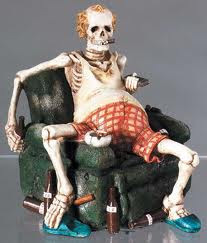 -Unhealthy Habits: Smoking, drinking, drugs, chewing tobacco, whatever your vice may be quit now! You are in charge of your life and living a healthier lifestyle means getting rid of everything that may kill you. -Annual Physical: There is only so much you can do on your own. Going to see your doctor atleast once a year is necessary to make sure there are no big health concerns. Hope you enjoy the video we shot outside of our office on how the snow affected us! 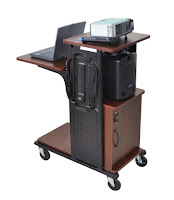 Amplivox's New Line of AV Carts and Presentation Furniture! 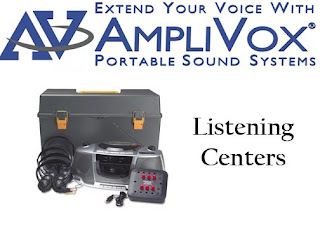 One of Amplivox's goals is to provide quality portable sound systems that are easy to use. 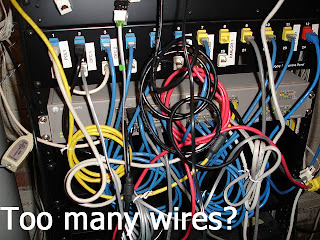 Just like our customers, we hate overcomplicated products with messy cords that tangle, which is one reason we offer most of our products wireless. 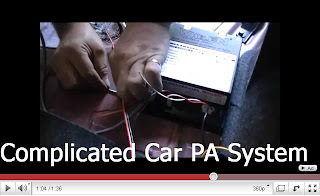 There are plenty of complicated Car PA systems out there: look at the included screen shots from several long Youtube videos explaining how to hook up a car public address system. The videos show how to screw in the device, how to connect a mess of wires and other parts to a car. One of the videos is over nine minutes long! Talk about complicated! The Amplivox Sound Cruiser Car PA System comes ready-to-use with suction cups and straps for attachment and is essentially plug-and-use. Watch the following video demonstrating the ease of installment and use the Sound Cruiser offers. The video may seem a little silly just because the product really is that easy to set up! To compare the Sound Cruiser to other sound systems (specifically the videos pictured above) click here and here. In the first days of February 2011 a historic blizzard hit much of the United States--and hit it hard. People were stranded in their cars and it turned normally fast-moving highways into a snow-filled parking lot. Lake Shore Drive in Chicago (pictured on the left) left hundreds of drivers stranded. Be prepared. The city of Chicago Fire Department had several dozen snowmobiles on hand for catastrophic emergencies like the one we have experienced. They helped stranded travelers reach shelter when normal emergency vehicles would not allow passage through the snow. This just shows the importance of having the right supplies in emergency situations. An emergency plan clearly communicated helps save lives. Planning for the worst and communicating your safety message will help save lives. The City of Chicago has done a great job learning from past blizzards to prepare and be able to communicate their message. Using portable sound systems in emergency planning is an important way to communicate your safety message in high-pressure situations. Sometimes you have to realize there is nothing you can do. It's not easy for some to admit they have no control over a situation, but at times we do not. Many people in the blizzard found themselves helpless, whether it be power outages or slow traveling on the highways. The best thing you can do is to not worry and do your best to follow number 4. If possible, enjoy the unique time while you can. Hopefully your emergency or natural disaster will be temporary and that no major casualties have occurred. If you are snowed in at home or work, do your best to make positive memories from the crazy weather. If you have kids, it can be a good memory maker and something they will always remember. The following pictures are from my neighborhood and show how much snow we got. 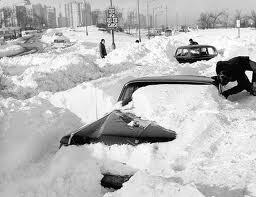 Amplivox Portable Sound Systems is located in Northbrook, IL and is still digging out from the big snow!